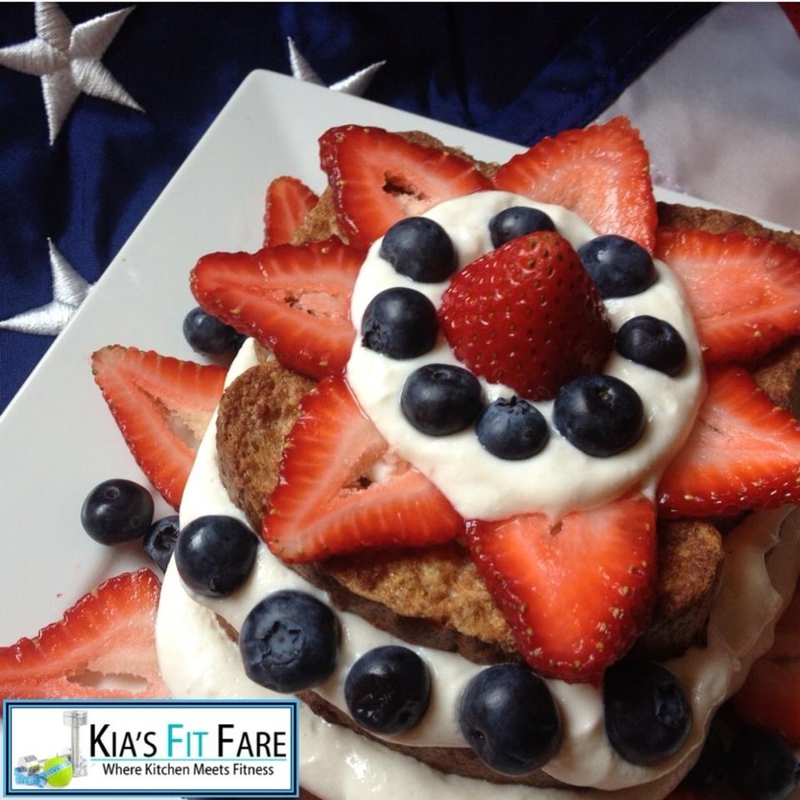 his delicious French Toast Stack was prepared with 100% Whole Wheat Bread, layered with a combo of frozen Greek Yoghurt & Cottage Cheese (bit of whey protein to thicken the mix), and finally Fresh Blueberries & Strawberries. This is another Super-Easy recipe that can be adjusted to meet your taste & needs/goals. Enjoy!! 1. Combine Egg Whites, Cinnamon and Almond Coconut Milk in bowl. 2. Heat skillet on Medium/High. 3. Dip slices of bread into Egg Wash (Do not soak bread in wash). Place on skillet and cook 3-5 mins or until done. Flip one time allowing the otherside to cook. Set aside. 4. Combine Cottage Cheese, Greek Yogurt (You can use only one if desire) and Whey to processor or blender. Place in freezer if not using right away. 5. Chop strawberries. Layer French Toast with Cream Mixture and Fruit as desire.